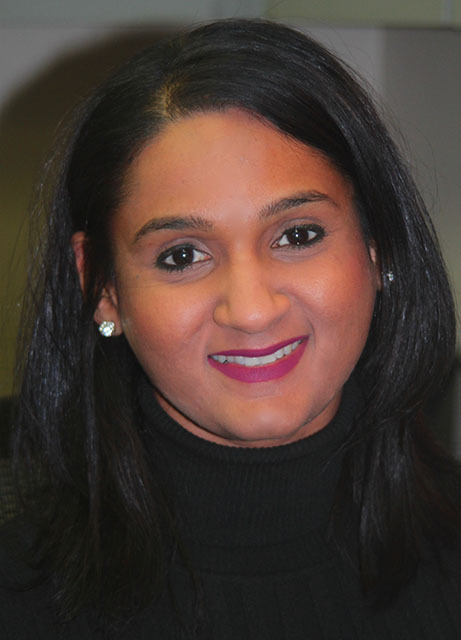 Tricia Bridgemohan is the Office Manager for Garden City Dental Care PLLC. Tricia is our Office Manager and insurance coordinator extraordinaire!! She has many years of experience and expertise navigating the complexities of our patients' insurance benefits. Tricia will communicate with your insurance company, and then clearly explain the benefits and limitations of your policy. She will explain your co-payment responsibilities, and discuss various payment plans for extensive treatment. Tricia has a thorough understanding of dentistry, and her warm and welcoming manner puts all of our patients at ease. Chatting with Tricia at our front desk is the first step in feeling at home with Garden City Dental Care!